1. Effective annual interest rate applicable to a secured Chattel Mortgage with a maximum term of 36 months, deposit of 10% and a residual of 40%. 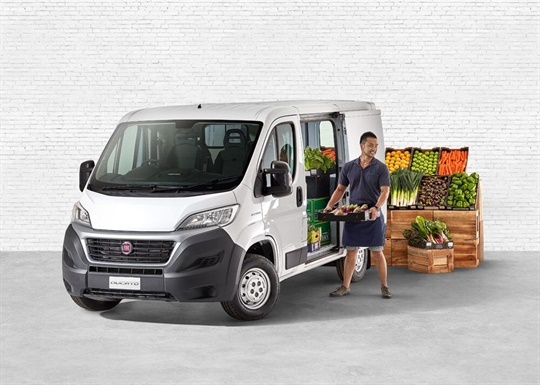 Finance offer only available at participating authorised Fiat Dealers for qualifying new and demo Fiat Professional Ducato MWB Mid Roof, LWB models and XLWB models ordered by 30 April 2019 unless withdrawn earlier or extended at the discretion of the financier. Finance provided by Macquarie Leasing Pty Limited ABN 38 002 674 982 trading as Chrysler Group Financial to approved applicants for business purposes (not available to government or rental buyers), subject to its credit assessment criteria. Fees and charges are applicable. Full conditions available on application. 10. 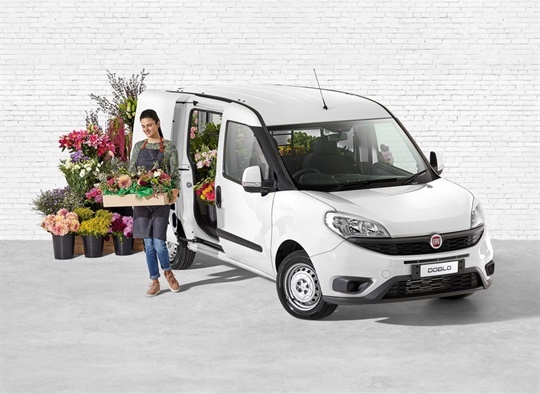 Drive away price on new Fiat Professional Doblo 1.4 manual, registered and delivered between 1 April and 30 April 2019, unless changed, withdrawn earlier or extended at the discretion of FCA Australia Pty Ltd. Offer valid while stocks last to ABN holders only and excludes government and rental buyers. Includes all on road costs and white or red paint. Other colours may incur additional costs. Terms, conditions and exclusions apply. 11. Drive away price on new Fiat Professional Doblo 1.6 auto, registered and delivered between 1 April and 30 April 2019, unless changed, withdrawn earlier or extended at the discretion of FCA Australia Pty Ltd. Offer valid while stocks last to ABN holders only and excludes government and rental buyers. Includes all on road costs and white or red paint. Other colours may incur additional costs. Terms, conditions and exclusions apply.